Taking chances usually isn’t easy. In fact, it can be down-right scary. Cody Murphy, owner of Standing M Livestock at Greenville, Ala., faces a lot of challenges, as he preconditions high-stressed, high-risk, weaned calves straight from the sale barn and prepares them for backgrounding on rye grass. Throughout the year, Murphy contracts load lots of freshly weaned 200-pound calves to take to his operation, where he will feed and grow them for approximately 45-50 days. Being so young and high-risk, he knows the calves are likely going to get sick, so he was exploring ways to keep them healthy and help them get started on their feed. He found both in two Vita Charge® products. 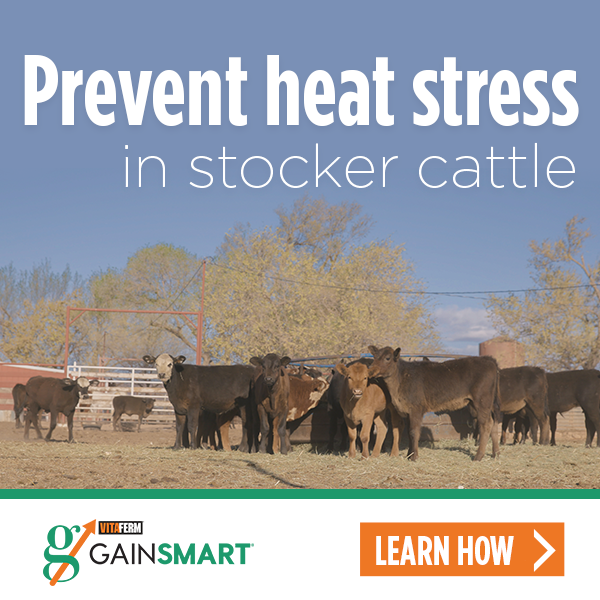 “I contract stockyard calves, hauled to order buying barns, where they are sort-processed. They are very stressed, and weigh about 200 pounds; they are basically babies. It is very tough on them,” Murphy said. He started giving the calves Vita Charge Cattle Drench at the chute when they are loading his trailer at the order buying barn. Once they unload at his place, there are 50-pound Vita Charge Stress Tubs in the receiving pens and every pen they will be in. Amaferm is a precision-based prebiotic designed to enhance digestibility by amplifying nutrient supply for maximum performance. It is research-proven to combat stress by supporting the animal’s own immune system, significantly increasing intake and nutrient utilization. In addition to the Amaferm, which is in all VitaFerm® and Vita Charge products, the Stress Tubs contain MOS, to help trap bad bacteria limiting their ability to do harm. In addition to jump-starting their appetite and getting them on feed and water, the Vita Charge products have helped Murphy’s high-risk calves respond quicker to treatment and heal more quickly, keeping them on feed. “They are going to get sick. But they have a faster recovery time since they have been on this program. Any time you keep the vitamins and minerals pushed to a calf, they are going to respond better, and everything is going to work better. If they are mineral deficient, they will be sick all the time,” Murphy said. Murphy first heard about the Vita Charge Cattle Drench from a friend and BioZyme Area Sales Manager Rowdy Pope. After, he saw the results of the Drench, he decided to try the Stress Tubs. Murphy was sold, and now is a BioZyme dealer. “I tell all the people I talk to about it, I’m not going to read you a brochure. I’m going to tell you the results I’m looking at from using it,” he said. Getting high-risk calves eating and staying healthy isn’t easy. That’s why progressive operators like Standing M Livestock find products like Vita Charge with the Amaferm advantage to help them succeed.